Srp 8,2015 / Autor: Michal Blažek / Žádné komentáře. You can find all neccessary documentation on Github. This is a code that will place video in the page. Update 30.6.2017: As of the update in March/April this solution does not work 100%. Unfortunatelly, I do not have a capacity to fix this. If you have, I will help you with the task. 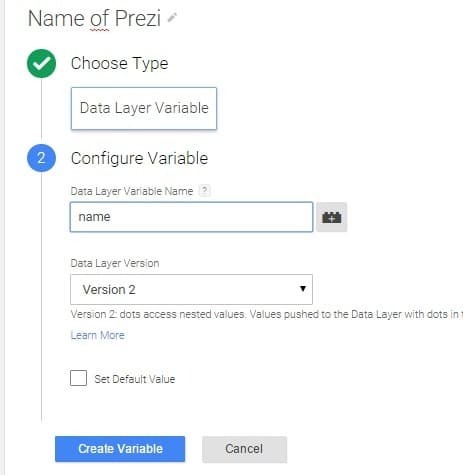 I push name of the Prezi presentation and step (slide). 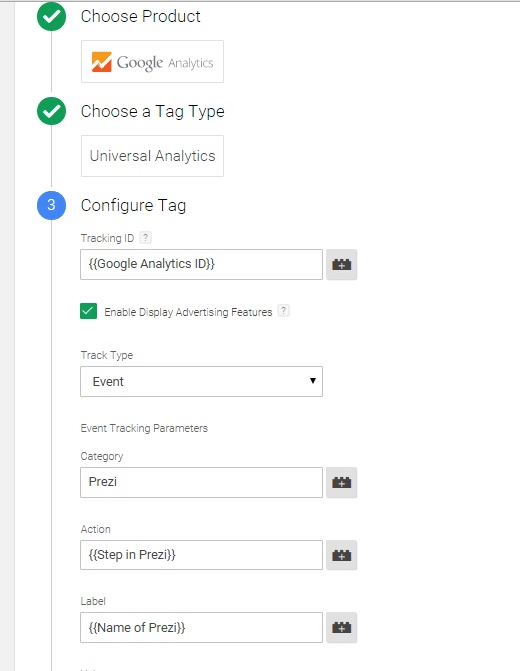 and then create tag Google Analytics – Event. 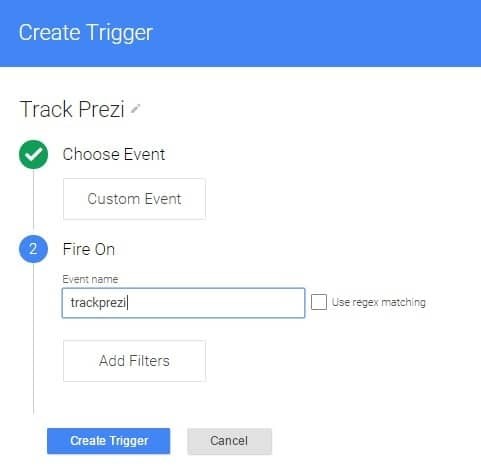 This tag should fire when trackprezi happens. This is it! 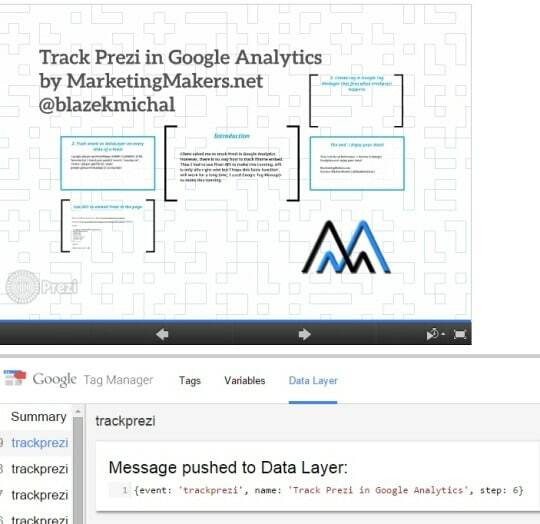 Go to Behaviour -> Events in Google Analytics and enjoy your data!